After having innovated the sector with the first two models of the Mi MIX range and having proposed a Mi MIX with the slider, what is the next step? What to expect from the future Xiaomi Mi MIX 4? According to this patent filed by the company, on January 29 at WIPO ( World Intellectual Property Office ) The following full screen can strangle some users. Not only because of the presence of one. double selfie camera, already seen in My MIX 3 but in this case dislocated on both sides of the screen. First of all, I want to specify that, being a patent, it is not said that it really becomes a smartphone. Also, as seen above, 4 24 has different versions of this full screen designed by Xiaomi. The basic idea is to have one. Double front camera On the screen, as in the case of Samsung Galaxy S10 +. But unlike Samsung’s flagship, the two sensors are not the following, but one in the upper right and one in the upper left. A solution perhaps strange, but that could convince all those who have distorted the nose to the news of the sliding mechanism of the Mi MIX 3. Although well done, there is still some distrust regarding the possible long-term wear. And what would you prefer: a selfie camera on a “perforated” screen or a sliding body? 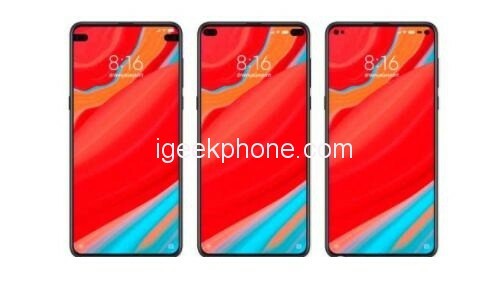 A render that was previously exposed shows that the new phone of Xiaomi will use a double-hole design, the phone still uses the OLED screen, and the camera and sensor are located in the holes. 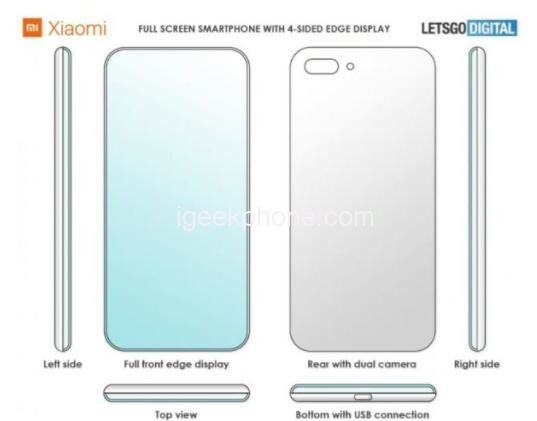 Different from the Samsung, the holes of the Xiaomi are located on both sides of the fuselage. At present, the punch hole screen and hole-less design are the highlights of this year. No matter what kind of design the Xiaomi Mi MIX 4 uses, we believe it will make everyone shine. So which one do you prefer to compare in these 2 designs?